We know selecting an orthodontic practice for you or a family member is a major decision. Here are eleven reasons why Toothman Orthodontics in Hagerstown and Frederick MD sets the standard. 1. Family Practice – We are a father and son Orthodontist team that has built our practice on the philosophy that everyone is treated like they are family. In the last 40 years, we have treated Mothers, Fathers, Children, Grandchildren, Cousins, Neighbors, and Friends, and are proud to have them become a part of our extended orthodontic family. 2. During our 40 years During the last 40 years in practice, we have centered on correcting oral function, enhancing beautiful smiles, improving self-esteem and focusing on the total body health. This precise focus has earned us an outstanding reputation in the Quad-State area with not only our patients but our colleagues as well. Click here to see our testimonials and reviews. 3. 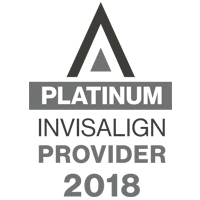 Education and Training – We are both certified, trained, Orthodontic specialists, and stay at the forefront of our field. We understand the importance of the relationship between the teeth and jaw. We not only correct the positioning of the teeth, we focus on proper airway function, evaluation and treatment of TMJ dysfunction, and multi-disciplinary approach for optimal facial esthetics and treatment efficiency. We are also a member of a geographically exclusive national study club called, Schulman Study Group (SSG). 4. Advanced Technology and Equipment – Our office is improving the way traditional orthodontics is done, while also eliminating multiple unnecessary office visits. Our fully digital offices are equipped with the latest Intraoral scanners, 3-D printers, and digital model storage. These technologies allow us to virtually move teeth with clear aligners, eliminate the process of the messy impressions, and reduce the number of preoperative appointments. 5. Reducing Treatment Time – We take pride in making your treatment as efficient as possible. Along with the scanners and 3-D printers, we additional offer Piezocision techniques, Acceledent vibration, and Biolux infrared bone stimulation, which assist in shortening the length of time in brackets or clear aligners. 6. In-house Lab – Using our advanced technology and scanners, we are able to process your appliances and retainers in-house, which assures superior quality with minimal turn-around time. 7. Flexible Payment Plans & Insurance – Our team is always happy to discuss our affordable monthly payment plan options, and will assist you with your insurance claims and benefits. 8. “Baby Tooth” Club – For our younger patients who are not quite ready for treatment, we offer complimentary growth and guidance program. This program monitors skeletal and dental development, to ensure that treatment begins at the appropriate time. 9. Feeling Right at Home – Our family’s team members will greet you with a warm friendly smile and are always happy to assist you with any questions or concerns that you may have. While you wait, feel free to enjoy our coffee bar, Wi-Fi access, and electronic games in our comfortable seating area. 10. Availability – Our staff is on call during and after business hours, and are available to assist you in any way possible. We also have a team members that are bilingual in Spanish, should you need a translator. 11. Community Outreach – We care about our community. Our entire staff takes pride in serving the homeless, working with the Salvation Army, and sponsoring our Boys and Girls Clubs.